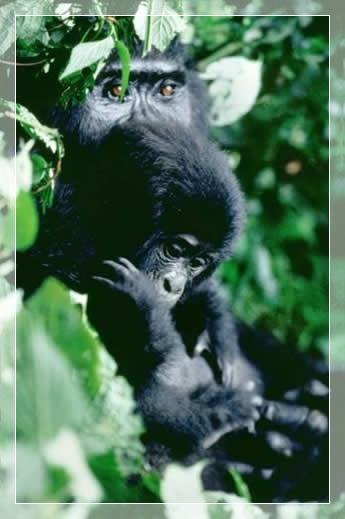 Depart from Kampala by road and head south-west to Bwindi Impenetrable National Park. Have a short stop at the Equator for an informative talk as well as photography. Head to Mbarara where you will stop for lunch. Your drive will take you through Uganda rolling green hills through the Switzerland of Uganda; head higher to where you can see the triangular peaks of the Virunga Volcanoes of Rwanda and Congo. You will then drop down in to a valley, to Bwindi. Dinner and overnight stay at Luxury Gorilla Forest camp /Mid Range Lake Kitandara luxury tents / Buhoma Homestead or basic at Buhoma Community Bandas. Early breakfast and thereafter assemble for a briefing on Gorillas by the Park Ranger. After briefing the Park Ranger will lead you into the impenetrable rain forest while informing you about the Flora and Fauna. Looking deep into the brown eyes of the gentle giants is surely to give you one of the most amazing wildlife encounters of your life. 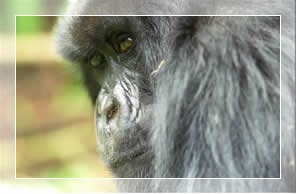 You shall spend an hour with the Gorillas and thereafter have our packed lunch before returning to the lodge. 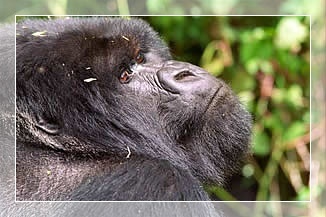 Gorilla tracking is an incredible, inspiring and wonderful adventure which one can't afford to miss. You will depart early with packed lunch for Queen Elizabeth National Pack. 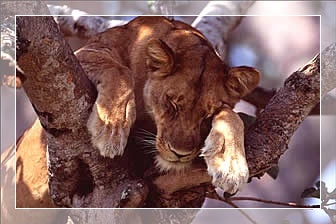 Drive through the southern sector of Queen Elizabeth known as Ishasha, famed for its tree climbing lions. There are chances of seeing buffalo, Topi and hippo among other species. After checking in and having some time to relax, head for an evening game drive. Dinner and overnight stay at Mweya Safari Camp/ Jacana Safari Lodge/ Institute of Ecology. 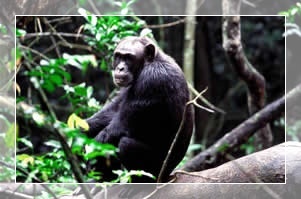 This morning you will leave for the 08:00am chimp tracking in Kyambura Gorge. Track in search for habituated chimpanzees and other primates. Visit the Bat cave and hunters cave where we take a close look at the bats, rock python and forest cobras. This will also provide a chance of seeing birds, primates, and different tree species. In the afternoon, take a boat trip along the Kazinga channel which gives you the opportunity to view wildlife like hippos. The cruise is a wonderful way to see hippo, buffalo, Kob and occasional Nile crocodile (which up until recently did not inhabit this area) and a spectacular bird watching on the water bank. Retire to your accommodation (Hostel/lodge) for dinner and over night. Following breakfast and a morning game drive, head to Kampala having lunch enroute or a picnic lunch before being dropped off in Kampala.